When I first started this blog, nearly 4 years ago, it was simply a place to share my thoughts about the books I read. For years I kept a hand-written journal detailing what I thought about what I had read and blogging seemed like a nice way to share my opinions with like-minded readers. Over time it has grown to cover more of my interests. I post about my hobbies, crafts and baking usually. I review products and sometimes I just chit-chat about anything that comes into my head. Every year I make resolutions regarding how to improve my blog, how to make it better and how I can be a better blogger. The problem is I forget to define what constitutes success so by the end of the year I don't have a yardstick to measure anything by. This year I plan to change that. At the beginning of each month, I intend to set mini-goals and at the end of the month see if those goals have been met or missed and examine the reasons why. I have to start by saying neither Leigh nor I have been well this month. Both of us suffering from heavy colds, sore throat and all the general misery that being ill in January brings, some days just getting up felt like a victory. ​When I first started this blog, nearly 4 years ago, it was simply a place to share my thoughts about the books I read. For years I kept a hand-written journal detailing what I thought about what I had read and blogging seemed like a nice way to share my opinions with like-minded readers. Schedule 5 posts - some of the books I am reading now will not be published until well into 2017 and I have been asked to hold back the reviews until closer to publication date but if don't write those reviews now I will have forgotten the details. Tidy up 3 old posts. Every year, as the weather turns cold, I go and search through the shelves and drawers for winter hats and gloves so that I can stay warm during my daily walk. This year, like most years, I fail to find any tucked away. When I take the time to think about it I remember that family and friends who visited over the winter last year all seemed to go home with a hat. My husband used to wear one to work when on night-shift and always managed to lose it by spring and a few went as Christmas or birthday presents. This means it is time to knit myself another hat. Any excuse to visit the yarn shop is good enough for me and The Wolly Beader in Okehampton is a favourite of mine. When I first created this blog the whole idea was to talk about my hobbies. To show pictures of quilts and embroideries and pieces of knitting. To write tutorials and to point people in the direction of some of my favourite crafty bloggers. Somewhere along the line I got completely distracted. Not from creating stuff but from writing about it. The blog took off in other directions and eventually I had to separate out all the book reviews and product reviews that were swamping the creative stuff. When I look back over the last couple of years the Crafty blog has a small handful of posts while Book Reviews has three or four most months as does Product Reviews. I have decided I need to change that balance. 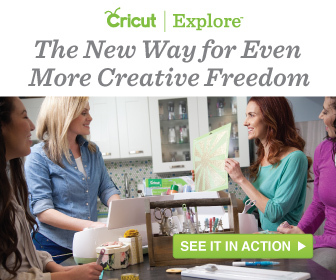 Not by decreasing posts about books and products but by increasing posts on the Crafty blog. ​So for 2016 I am going to try and do a weekly post showing what is sitting by my sewing machine. It might just inspire me to get things finished If I don't want to show the same thing for weeks on end . Here is Post 1. It is about a quilt that has lingered in the Phd (pieces half done) pile for far too long and deserves to be finished and used. This block is really easy to make. It is just random strips sewn together using paper as a support. When the squares are joined the paper can be just ripped away. I joined four 12"squares to get this larger square and then layered it up with wadding and backing fabric and a lot of fabric adhesive. Once the squares are quilted they are trimmed to size. If I've managed to do everything properly I should end up with a 24" square. I'm am hoping that it will be close to being finished by next week and I can show it off in all its glory. The evenings are drawing in and there is a nip in the air that wasn't there a couple of weeks ago. For me, this all adds up to one thing - the urge to start knitting is upon me and what better to start with than a simple hat to keep my head warm. Being a typical knitter one is never enough, I'm always planning the next project as soon as I've cast on the current one. I have a rather large collection of knitting magazines, books and patterns but often find that the perfect pattern just does not exist. Sometimes this means I have to be creative and design my own pattern but this time I was lucky, I had to go back to a Dec 2010 issue of Let's Knit magazine to find a simple beanie pattern, but it was perfect for what I wanted. The pattern originally comes from the Rowan book Homestead Classics and the yarn suggested is Rowan Classic Lima which is a blend of baby alpaca, merino wool and nylon and knits up as an Aran weight. Of course, I had nothing suitable in my stash and had to make a trip to my local knitting paradise, otherwise known as Rockin' Beads in Okehampton, to buy some yarn. They don't stock this particular yarn, but we had fun pulling out balls of other yarns to find an acceptable substitute. I ended up with a yarn from Bergere De France. It is a recycled yarn made up of acrylic, wool, polyamide, miscellaneous fibre (all recycled) and a bit of new acrylic to give it strength. I like the idea of using a product made from recycled items that otherwise would have gone to landfill but with yarn if it doesn't feel good as well then it won't get used. This yarn is lovely and soft and knits up beautifully. It comes in a wide range of colours but I really fell for this denim blue. I think it is a gorgeous colour. The beanie took about two evenings to knit. It is such a simple knit that it is easy to watch the tv and carry on knitting. It took two balls of the yarn and I am glad I bought three balls because otherwise I would have been panicking. There was only about a yard of yarn left from the second ball after the seam was sewn. I tried it on as soon as it was finished and it is lovely and warm but a little bit big on me. As soon as Leigh saw it he tried it on and it fits him perfectly so he has claimed it as his winter hat and I have to knit another one for myself. I'm thinking something with cables this time and maybe pink!. 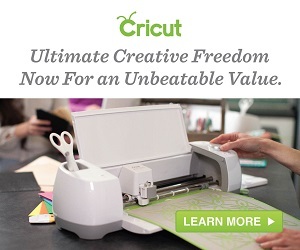 A little-known fact about Cricut is that they’ve actually been in business for over 50 years, and their primary purpose has been to develop tools that inspire creativity in people.